Hey beauties, I hope you all are having a great week so far! Today I wanted to tell you guys about this moisturizer that I have been using for about a year now. It’s the Clinique Dramatically Different Moisturizing Gel. About a year ago I was on a mission to find a great facial moisturizer that could help with my dry skin. After researching all around the web I read some good reviews about Clinique face products. I visited my local Sephora to check out some of their Clinique products. Since I was in a rush I realized when I got home, I made the wrong purchase. 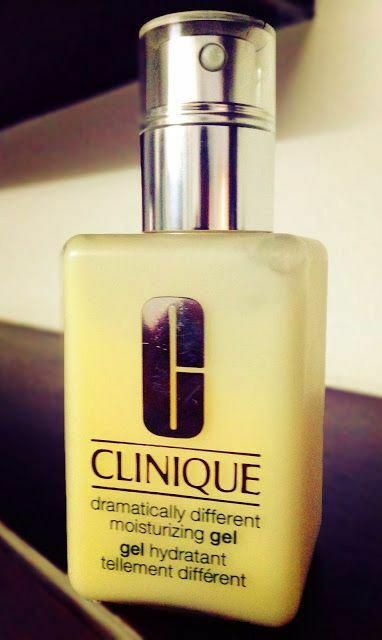 The Clinique Dramatically Different Moisturizing Gel is for oily and acne-prone skin. Which is for skin type 3, I was looking for Skin type 2 which is the Dry Combination. By the time I got it, it was too late to return it so I decided I’ll just give it a try. I got the 3-step skincare system, which came with the liquid facial wash and the Clarifying Lotion. After a few weeks of using the products altogether, I noticed a difference in my skin. This moisturizer always leaves my face so moisturized all day long. Clinique 3-Step Skincare System! Includes; Facial soap, Clarifying lotion, and Clinique Gel Moisturizer. Pros; As far as the Clinique Moisturizing Gel all together it is a great moisturizer. It is not sticky after use. It leaves my skin feeling super soft and bright, and fresh. It does not irritate the skin or causes breakouts. It contains beneficial ingredients. Such as Fruit Extracts and Sunflower. It has a nice texture which melts right into your skin. It is not too thick nor runny, it is very lightweight. Cons; I don’t really have cons about this product it really works great! It is expensive, by its self the Gel cost about $ 28, which is a lot for a moisturizer. How to use this product is very easy. All you do is apply the Moisturizing Gel all over face and throat, or where needed. Of course, for best results, you can use this after using the Facial soap and clarifying lotion as Step 3 in Clinique’s 3-step skin care system. ~ This is an amazing facial cleanser it takes all the dirt off my face after a long day and keeps my face feeling fresh. This product has no scent to it, it kind of smells a little sterile or medicinal, like the rest of the products. I would most definitely recommend this product to anyone who wears makeup all day long and is looking for something that can wipe it all off. Altogether this is a great facial cleanser and really gentle on the skin. I use this with my Luna Foreo and it works wonders. ~, To be honest, you guys at first, I thought this was a facial toner when I first got it! 😂 This Clarifying lotion cleanses, exfoliates, and moisturize the skin. I use it on my face and neck! It is a gentle, oil-free exfoliation lotion for combination and oily skin, and it works great! This is a smoothing formula which whisks away pore-clogging oil and flakes to reveal a clearer complexion. Since I live in Florida this product works amazing, because of the humidity levels and how hot it can be. The sun just beams on my skin and sometimes my face can become really yucky. This Clarifying lotion helps get rid of that feeling! I recommend it even if you don’t get the 3-step care. All you need is cotton balls or cotton rounds and rub it all over your face and neck! What is a go-to product that you all use every day? Let me know in the comments beauties!! 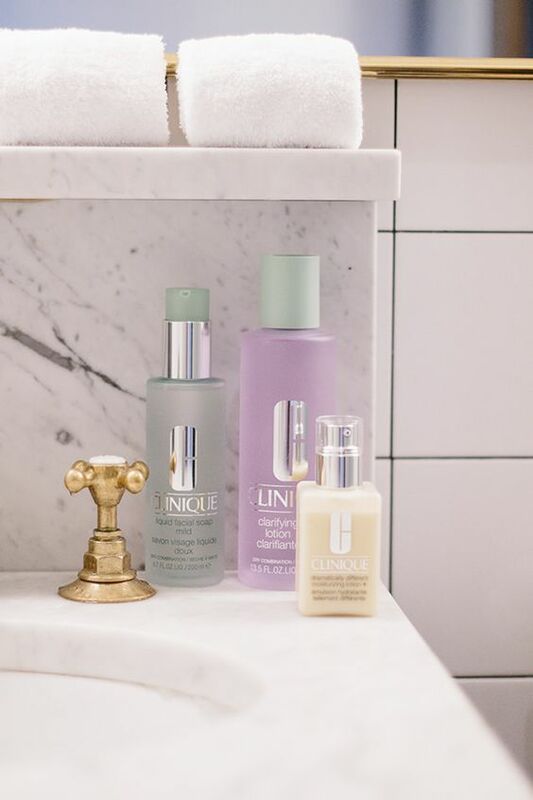 Where to purchase Clinique 3-step skincare product ↓ I found a promo code you beauties can use hopefully it still works!